The demand for high-grade pot from Colorado, California, Washington, Oregon and other legalized states means that massive quantities are exported to every other state in the country. None of this happens legally. Because of massive fraud and abuse, California has effectively been a recreational use state since 1996, and yet their hills and mountains are full of cartel grows. Despite all of their claims of regulation and enforcement, Colorado has become a source nation for the rest of the country. And in Oregon, where over $9 million in pro-pot spending caused the people of Oregon to legalize “personal use” possession of one half pound quantities of pot, the black market continues to thrive. Just like the other big pro-pot lie, that regulation keeps marijuana out of the hands of children, we have never had better evidence to reveal the absurd and fraudulent nature of their half-baked claims. Drug cartels and other criminal drug trafficking organizations are not intimidated by legalization, they are emboldened by it. Here is the latest evidence of that. A massive marijuana grow connected to a Mexican drug trafficking organization was raided early Tuesday morning, resulting in one arrest and the seizure of more than 6,500 plants. 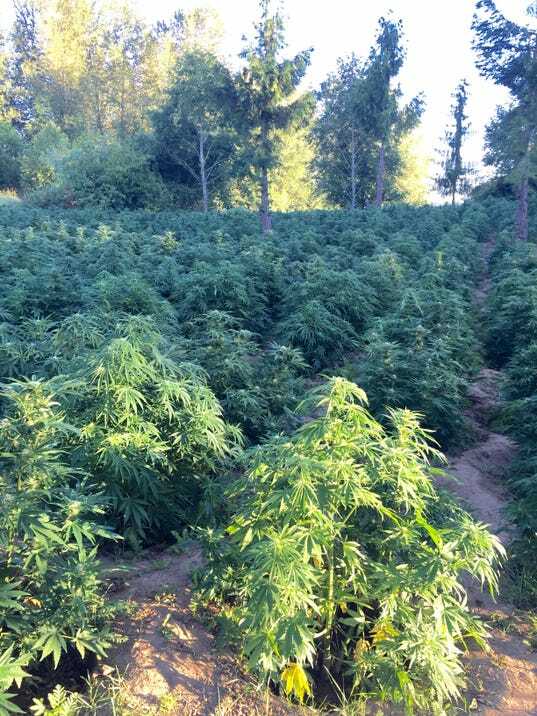 A two-month long investigation in rural Dayton led the Yamhill County Interagency Narcotics Team to the illegal marijuana grow in the wetlands near the Willamette River, according to the Yamhill County Sheriff’s Office. In the early morning darkness, the team, with tactical help from the Oregon State Police SWAT, raided the production site. They discovered thousands of plants valued at more than $9 million. Officials found an elaborate living area and kitchen hidden underneath a tarp within the marijuana gardens. They discovered 42-year-old Manuel Madrigal hiding in the secret living area. Deputies detained Madrigal, a resident of San Antonio, Texas, who had previous drug arrests. Madrigal was arrested on federal charges of drug trafficking and transferred into U.S. Marshal custody in Portland. Yamhill County Sheriff Tim Svenson said the raid was a good example of the dangers Oregon faces from marijuana, even though it is now legal in certain quantities. The grow was the first-large scale drug trafficking organization operation Yamhill County has seen in several years. The sheriff’s office said the investigation remained ongoing and encouraged anyone with information about the operation to contact the narcotics team at 503-472-6565.